The Environment Agency is the leading public body protecting and improving the environment in England and Wales. The work of the agency includes tackling flooding and pollution incidents, reducing industry’s impact on the environment, cleaning up rivers, coastal waters and contaminated land, and improving natural habitats for flora and fauna. Another key role undertaken by the agency involves providing direction to waste disposal companies on the management of landfill gas. 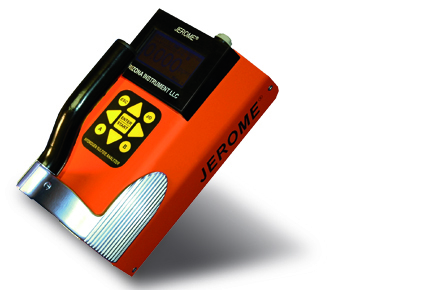 As part of their guidance for monitoring and quantifying trace components in landfill gas (within their document of the same name) the Agency references the Jerome Gold Film Hydrogen Sulphide Analyser for reliable field measurement of this toxic, corrosive, and explosive trace component. Within their recommended approach they state that the instrument should have a high specificity for H2S and not suffer interferences from regularly encountered species such as sulphur dioxide, carbon dioxide, carbon monoxide and water vapour. These are well proven attributes of the Jerome technology. “Hydrogen sulphide is the only priority trace component that can be reliably quantified in the field – though only if the readings are below 50 ppmv. If concentrations are higher, then laboratory measurement is required for accurate quantification. Portable instruments may, however, provide orders of magnitude results”. For the complete document “Guidance for Monitoring Trace Components in Landfill Gas” please click here. The Jerome Portable Gold Film Hydrogen Sulphide Analyser is available exclusively from Able Instruments & Controls ltd.
For more information, contact ABLE Instruments on +44 (0)118 9311188 or by email: info@able.co.uk.